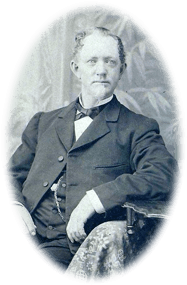 When Patrick Egan established P.A. 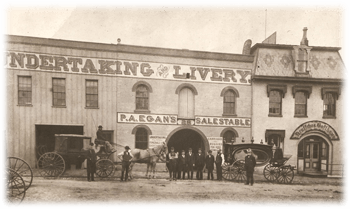 Egan's Undertaking and Livery in 1859, he began a family tradition emphasizing personal, dignified, quality funeral service for a reasonable price. As times changed, so did personal preferences for funeral services. The limousine replaced the horse-drawn carriage, funeral services moved from private residences to funeral homes, and funeral directors became dedicated professionals. In the midst of these changes, the EGAN-RYAN COMPANY has not lost its goal to be of service to families and the community during difficult times. A century and a half later, EGAN-RYAN funeral services carry on a family tradition. Today the tradition continues. EGAN-RYAN is now in its fifth generation of family management with the addition of Kevin Ryan beginning his Funeral Director career with Egan-Ryan in 2008. 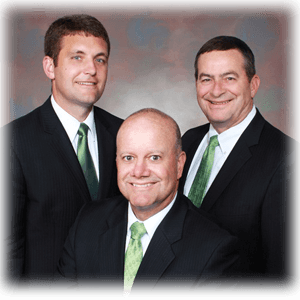 Robert E. Ryan and Andrew J. Ryan currently own and operate the funeral home with a staff of other dedicated professionals. The original funeral home at 403 East Broad Street has been supplemented by a funeral chapel located at 4661 Kenny Road to meet the needs of those we serve. Reputed to be two of Ohio's finest funeral homes, the facilities were built for comfort and accessibility. They are pleasantly decorated and well-lit, with no-step designs and ample, secure parking. Whether funeral service means burial, entombment, cremation, or service in other parts of the nation, the EGAN-RYAN COMPANY is a committed, full-service, family-owned home that prides itself on providing outstanding service to those in need. The EGAN-RYAN COMPANY plans to continue offering excellent service in the future and is working in the present to do so. Since more individuals wish to plan ahead for funeral services, EGAN-RYAN has plans to make this possible. Egan-Ryan is available to discuss prearranged and prepaid funerals in your home or office at no cost or obligation. More information about planning funeral services is available in this website.